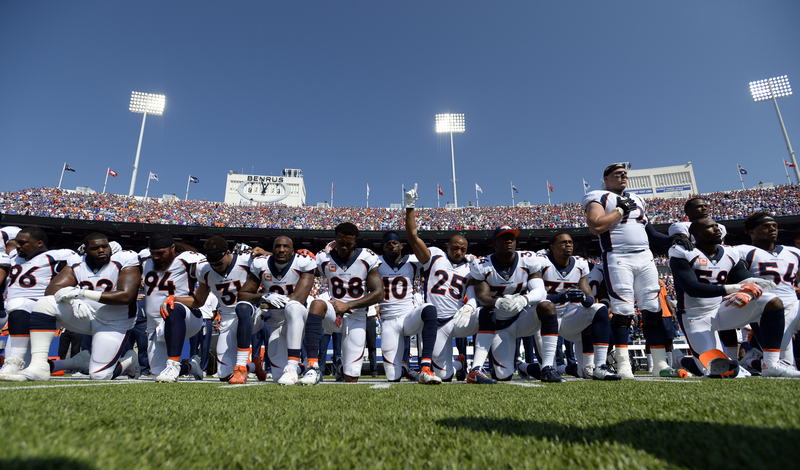 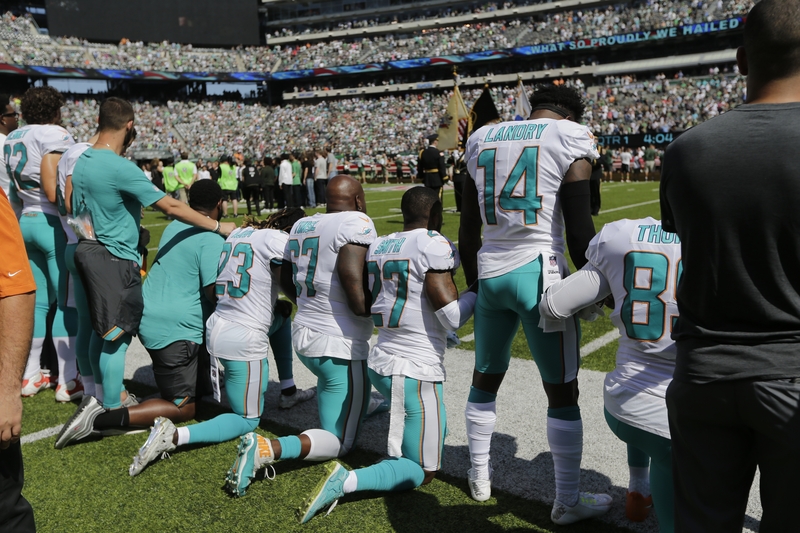 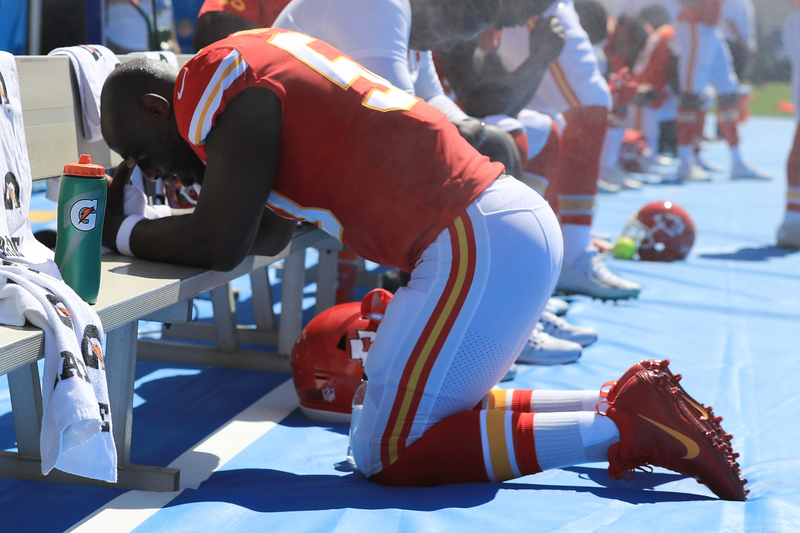 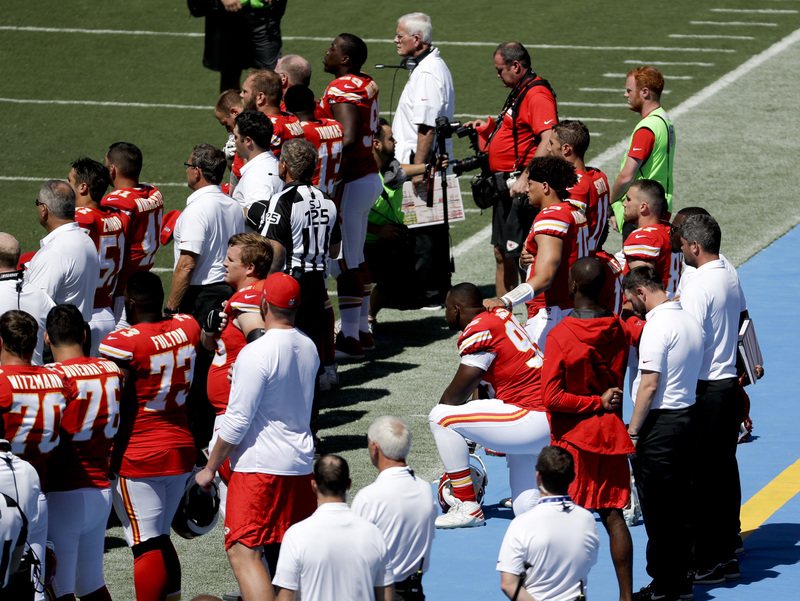 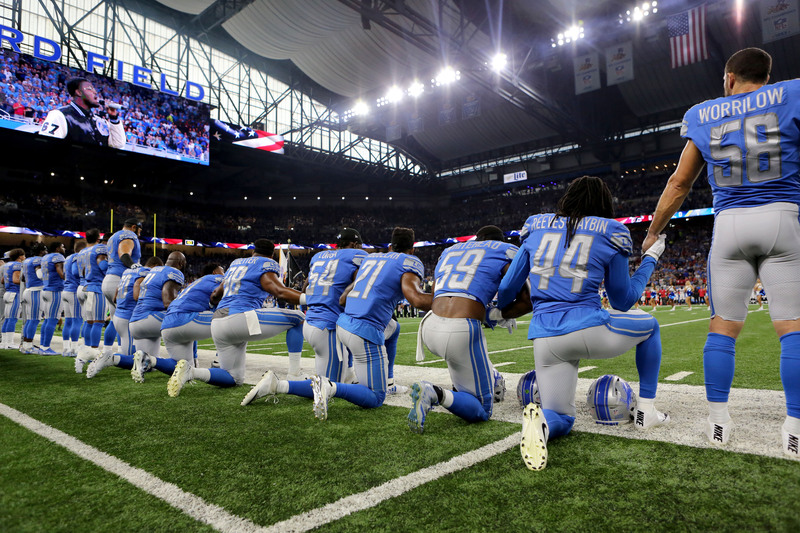 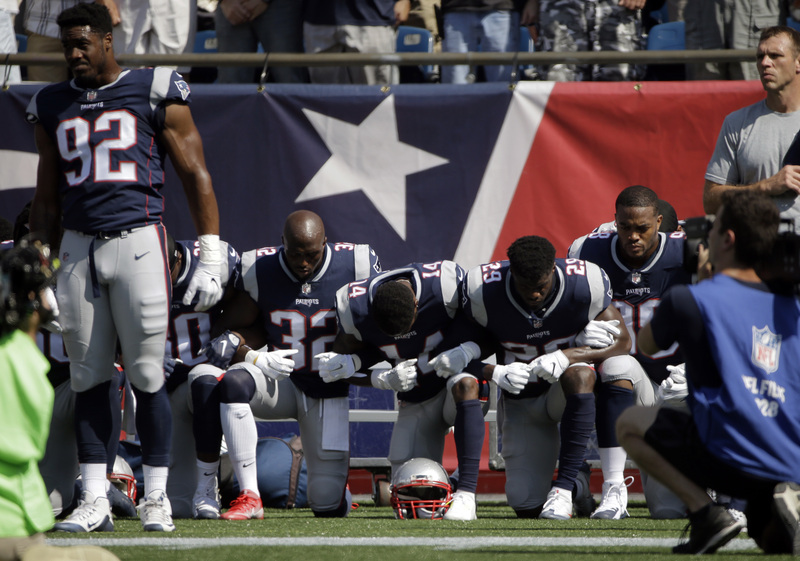 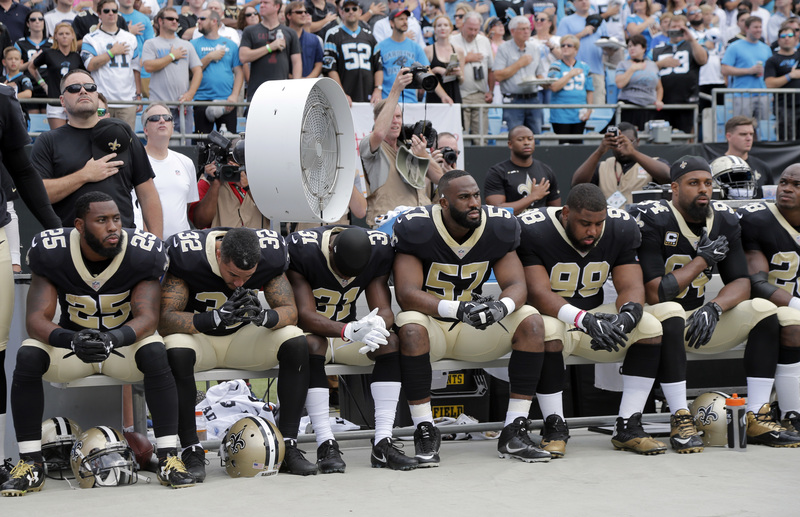 After President Donald Trump used a rally in Alabama on Sept. 23 to make disparaging remarks about NFL players’ peaceful protest of the national anthem aimed at bringing attention to police brutality and racial disparities, members of many NFL teams chose to kneel, sit or link arms during the national anthem on Sunday. 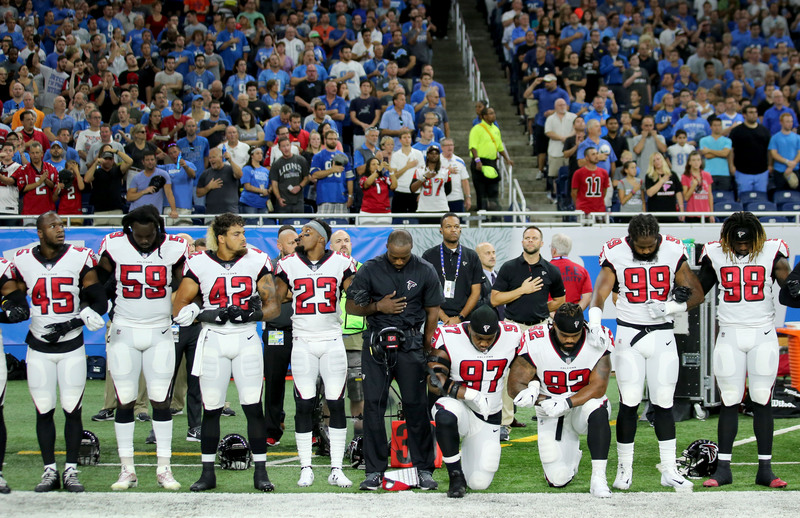 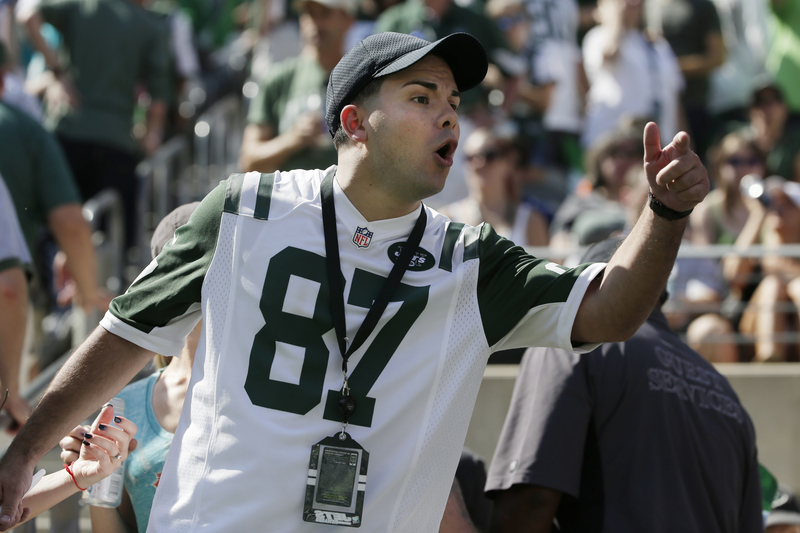 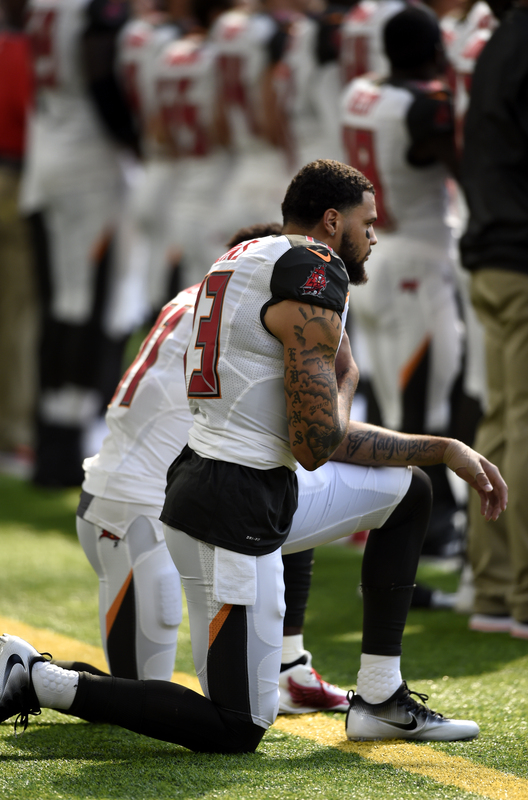 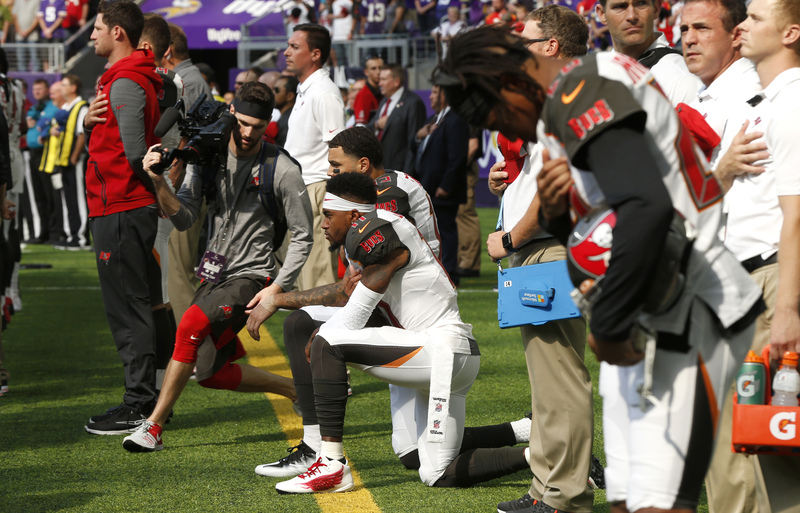 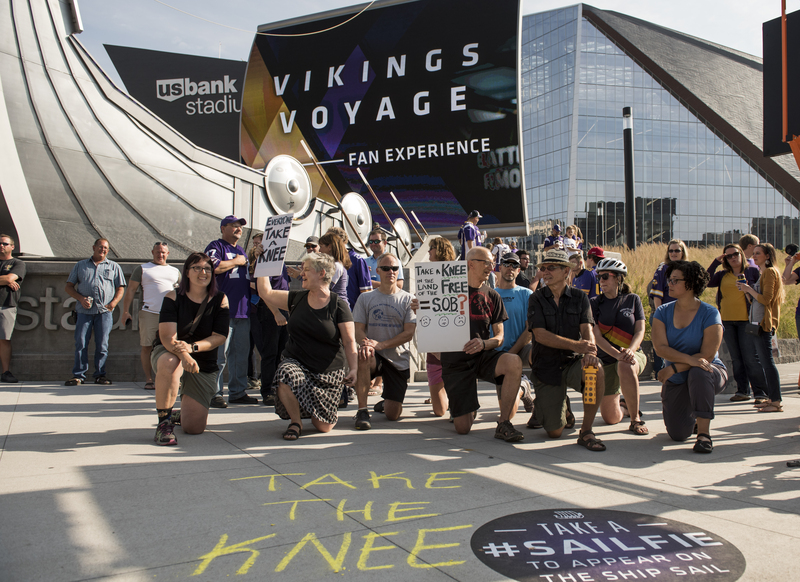 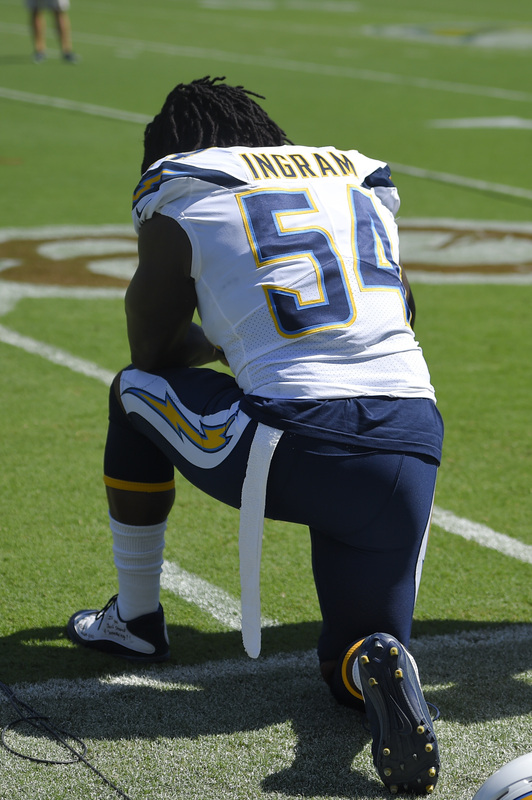 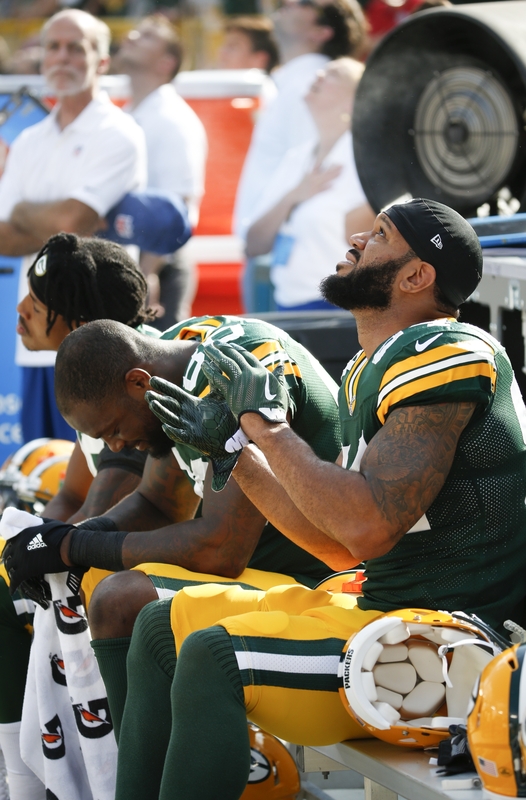 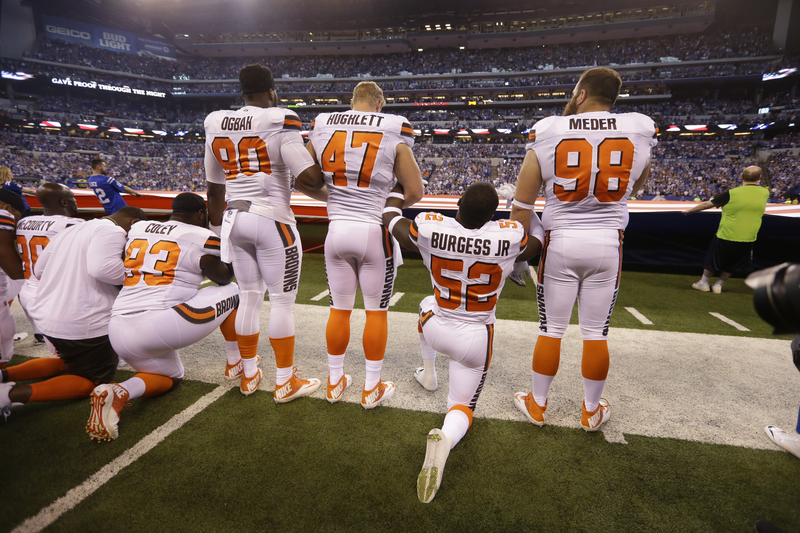 And some teams — the Pittsburgh Steelers and the Seattle Seahawks, namely — decided not to go onto the field at all during the national anthem, opting to stay in their locker rooms. 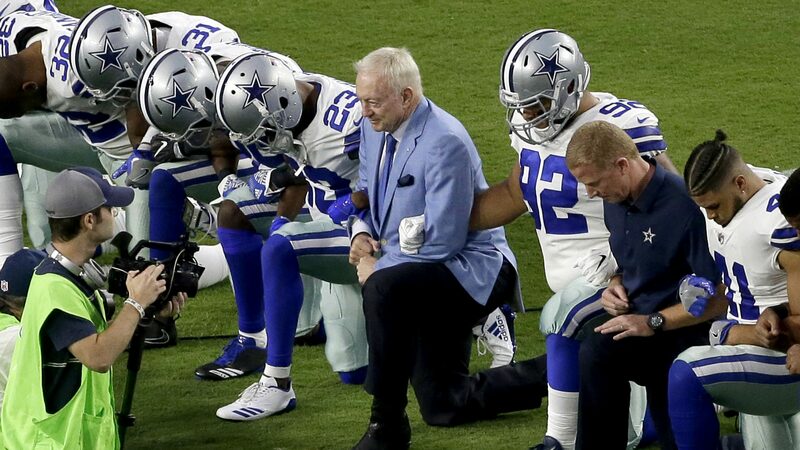 The Dallas Cowboys, led by owner Jerry Jones, center, take a knee prior to the national anthem prior to an NFL football game against the Arizona Cardinals, Monday, Sept. 25, 2017, in Glendale, Ariz.
A New York Jets fan yells at a player during the playing of the national anthem before an NFL football game Sunday, Sept. 24, 2017, in East Rutherford, N.J.